Me at the Western Wall in Jerusalem, the holiest site in Judaism. I have no plans to leave the Jewish community. 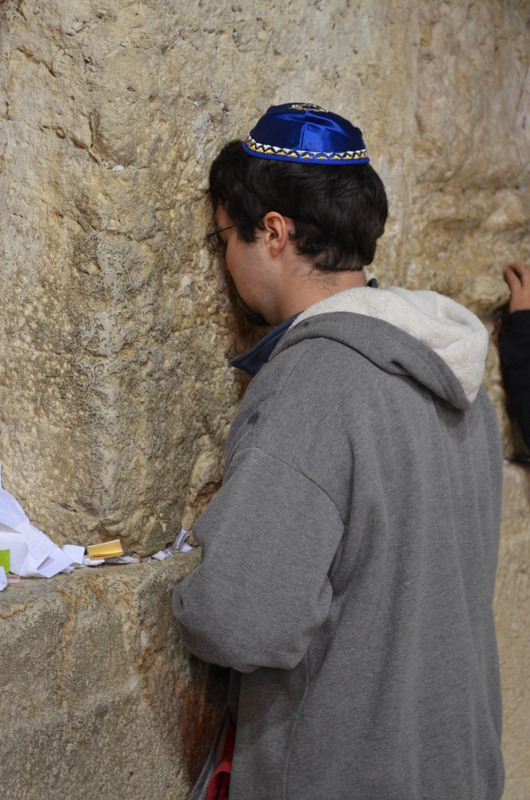 I believe in God, I believe in our collective responsibility to repair the world and my second trip to Israel last month solidified my complex love for the Holy Land. But by alienating me and other patrilineal Jews, the Jewish community risks our departure from a community that is shrinking every day. See the rest of my essay at InterfaithFamily.com, a blog dedicated to covering interfaith marriages and relationships. UPDATE: March 7 at 1:07 a.m.
A recent discovery: The essay was also syndicated to The Jewish Journal in Massachusetts North Shore area. h/t to Judy Matfess, finance officer of The Jewish Journal and, coincidentally, my roommate’s mother.